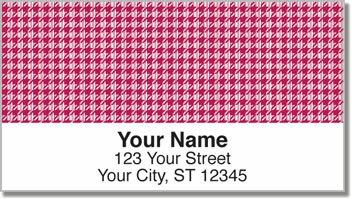 If you love vintage fashion, you're sure to go crazy over these gorgeous houndstooth designs. A fabric made from intertwining light and dark fibers, there's something very simple and yet very elegant about the Houndstooth. 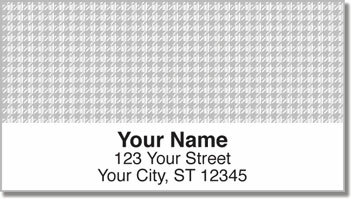 Not only can you enjoy the understated beauty of this simple yet gorgeous design, these address labels are also extremely useful. With a convenient self-adhesive backing, they'll save your valuable time. Order the lovely address labels today and get shipping absolutely free.